This is a lovely place with a modern interior, lovely views and relaxed yet professional service. 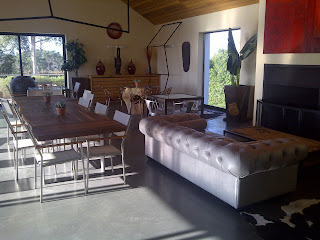 The tasting room is very spacious with various choices of seating arrangements. You can sit outside, which is exactly what I did on this gorgeous sunny day. Or you can sit on the couches near the fireplace in winter. If you are a big group there are plenty of tables and chairs inside and outside to choose from. The staff here are very relaxed which I really appreicated. 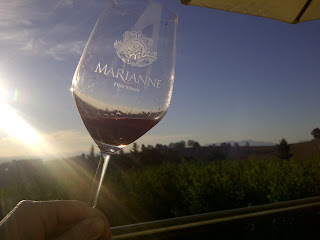 I chose a seat outside on the balcony for my tasting and Tom (one of the Marianne Estate staff) came out and joined me for the tasting. I had a nice chat with him and other guests who were outside enjoying several bottles of wine. It really was such a relaxed and welcoming vibe here. I loved it!!! I have to say, I struggled to make notes on the wine, it seemed very different to most SA wine (and what my palate is now used to) and I couldn't distinguish the aromas or taste, so I don't have much to say on them. None of the wines were bad, they all were of good quality, but nothing took my fancy. Having said that, I did buy a bottle of their Rose. I do plan on going back for another tasting in hope that I can make some better tasting notes. 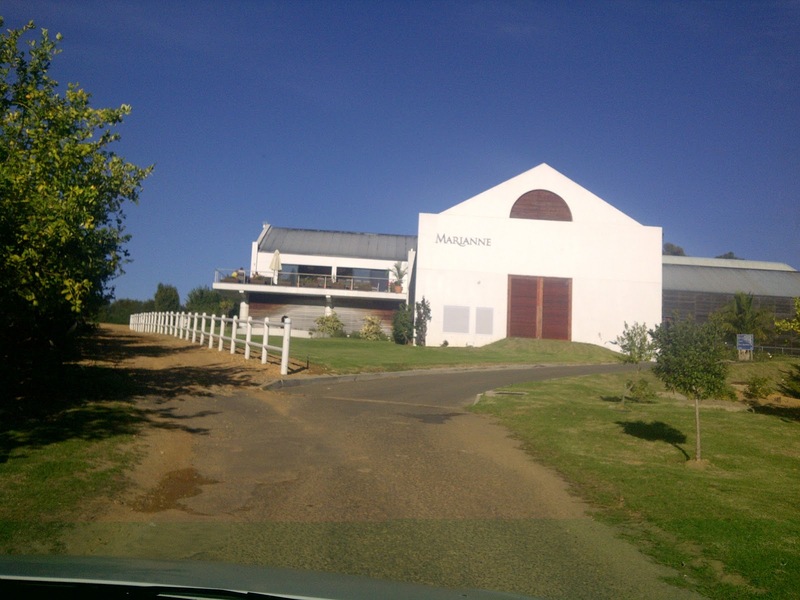 I was informed that the owner of the place is French and the current winemaker is Francois who previously worked at Waterford Estate. They have a great line up here and a great recipe for success. 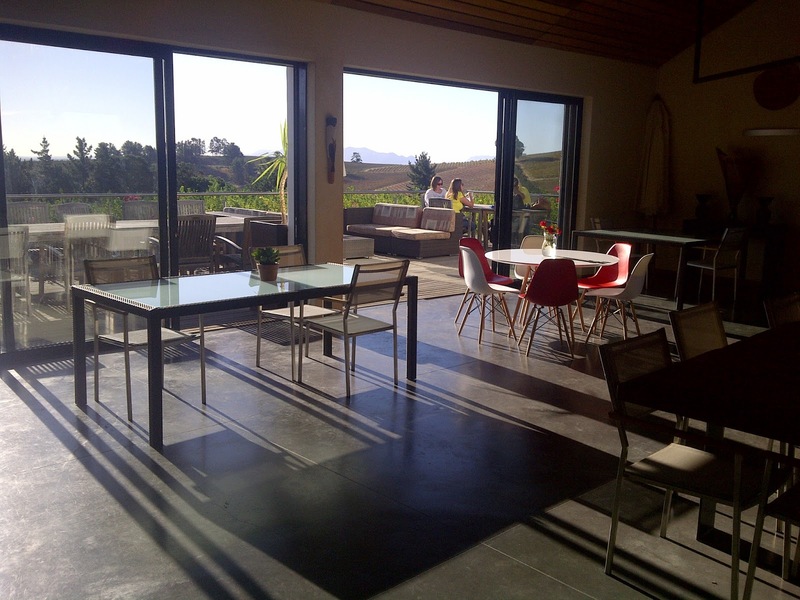 They are closing for a month in winter to renovate the tasting room and make some changes. Their vision for the estate sounds really awesome and it is in tune with what guests are asking for, which is awesome to hear. 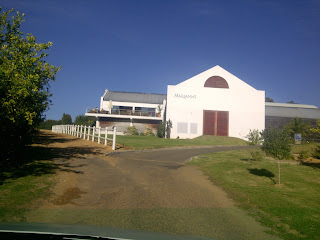 On the estate they have a restaurant called Olivello which is on your left as you drive up to the Marianne Estate tasting room. There is also a 4 star B&B on the estate with light catering provided at the tasting room. 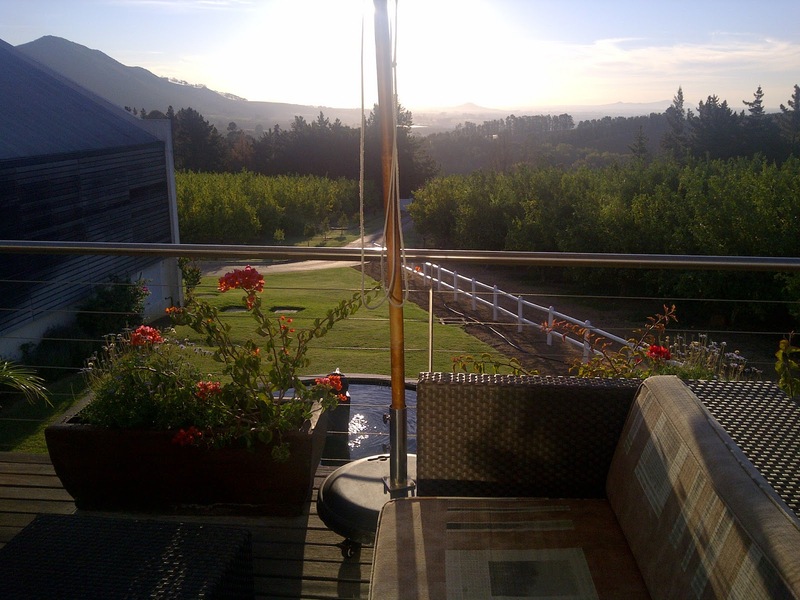 This would be a very nice place to stay in Stellenbosch if you are planning on visiting wine estates in the area. 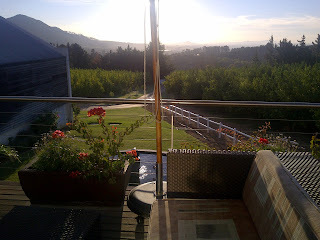 The staff seem to bend over backwards to make sure everyone enjoys their stay here, so I would recommend staying here while in Stellenbosch. I really liked this place, the atmosphere, views, relaxing vibe, I was so at home I didn't want to leave. 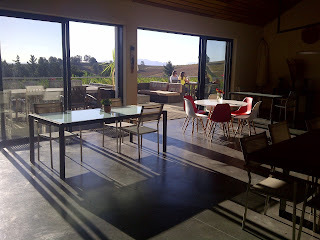 After a very relaxing wine tasting I was very happy and will definitely sit on the balcony for many more wine tastings. This is a place I could easily visit over and over again! !